While on a sabbatical in Israel with my husband and children, we employed a Yemenite woman of 33 as an ozeret (housekeeper). During the course of the year, she went through a costly divorce. While both Tikvah and Shmuel wanted the divorce, as he got closer to the rabbinic courts he began to sense what he did not know before–that he had great power over her. What had started out as a fairly just settlement turned ugly. Little by little, his demands accelerated. Finally, Tikvah’s lawyer told her to sign over to him her half of the apartment’s eventual resale rights and be through with him; otherwise, the case would drag through the rabbinic courts for years. And that is what she did. Despite some flashes of resentment, she considered herself lucky. 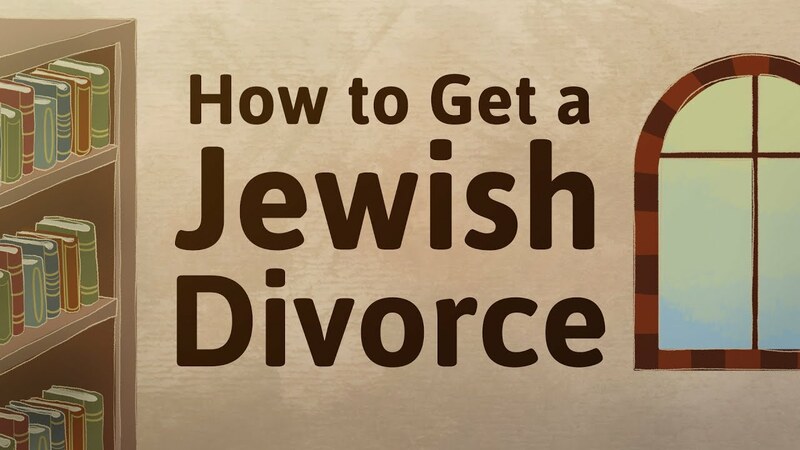 Traditional Jewish divorce law points up two things: how much change has taken place during the evolution of this halacha (Jewish legal system) and how much further development it needs to serve women more equitably and indiscriminately. According to biblical law, a man is permitted to divorce his wife at will and send her away from his home. The second aspect highlights biblical women’s vulnerability: economic, physical, and psychological uprooting faced the woman who displeased her husband sufficiently to cause him to divorce her. She had no leverage to prevent or refuse the divorce. Neither could she divorce him. The husband had to write a bill of divorce and present it to his wife before sending her away (Deuteronomy 24: 1-3; Isaiah 50:1; Jeremiah 3:8). This served as protection for her, as a delaying mechanism so that in a fit of anger a husband could not simply pronounce a declaration of divorce and be done with her. Though in themselves these limits represented very minor safeguards for women, they must be understood as the first breakthrough in establishing a crucial principle: the right of a community to set limits on a man’s absolute and private right of divorce. Moreover, it appears from biblical narrative that the social sanctions against divorce were quite powerful and that it occurred rarely. In the isolated instances where a woman was sent away (e.g., Genesis 21:11-12; II Samuel 3:14-16), it was a great trauma for her husband as well. The fact that the divorce law appears as an aside (in the context of a law forbidding a man to remarry his ex-wife) can be understood both as a limitation of a man’s absolute control over divorce and as an indication of the general inappropriateness of his divorcing his wife. Excerpted with permission of the author from “Jewish Divorce Law” in Lilith Magazine, summer 1977.